This particular tasting is a real treat for me. 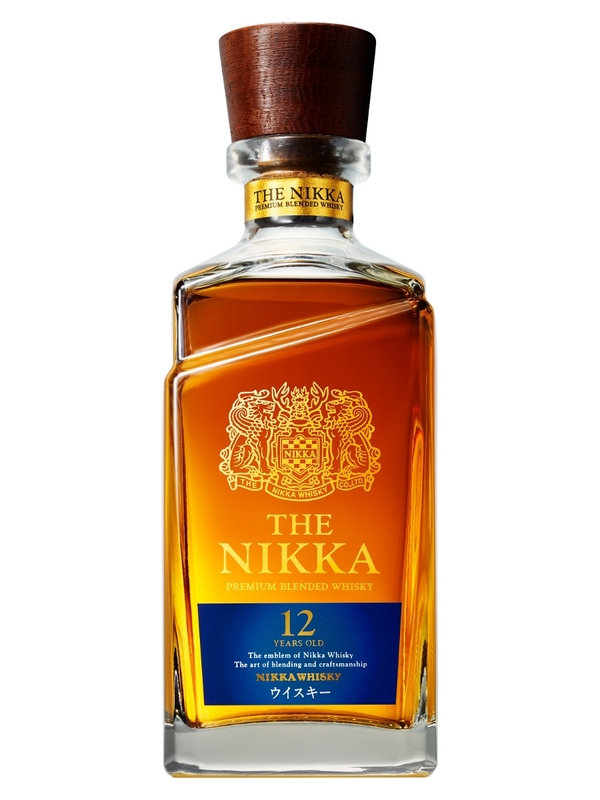 The Nikka 12 year old blend has been available in Japan since last September but according to Master Blender Tadashi Sakuma, it will be released in Europe in about 2 months from now (May 1st 2015 as I write this). I was lucky to try this at the Evening with the Blenders Event hosted by the Scotch Whisky Experience. It’s a great event but I won’t go too much into it here. According to Tadashi, this blend is comprised of whisky from Yoichi and Miyagikyo. Miyagikyo has both pot stills and coffey stills and subsequently create both malt whisky and grain whisky. So this blend is all Japanese unlike some other whiskies release by Nikka which incorporate spirit from Nikka owned Ben Nevis Distillery (Pure malt series and Nikka Black). While Nikka is known for it’s unusual selection of expressions in Europe including Coffey Malt, pure malts and “double malts” (aka the Taketsuru lineup), I believe this is the first age statement, all Japanese, true blend (using grain and malt whisky) to be released by Nikka in Europe. Interesting information from Tadashi regarding the well known Pure Malt series, there was a lot of speculation about the use of Islay malt whisky in the Pure Malt White blended malt. He said that while they did use some in the beginning, they now mostly use Yoichi to make up the peaty profile of the blended malt. Makes sense seeing as how Islay whiskies are getting hard to come by due to high demands. Rich pineapple cake with icing. A bit of that savoury meatiness that you sometimes get in Mortlachs. A bit of spicyness and it reminds me of spicy shredded pork dish I get from Taiwanese restaurant. Interesting balance between sweet and savoury. Kind of like that gum in Willy Wonka’s chocolate factory. 2 course meal. Much more robust than I would expect from a blend. Sweet but well balanced with medium oakiness. A bit of spice at the end almost like soda water in tingling sensation. Smooth like a blend but more complex than usual. New wooden furniture. Fresh oak. Lingering bitterness of fresh cedar. I don’t usually enjoy blended whiskies this much! I do not know how much this will be when it is released in Europe but I suspect it will be somewhere between £30 and £40 to compete with the Hibiki 12. If it does go for that, I am definitely buying a bottle. I see this as good anytime whisky. Not too challenging but thoroughly enjoyable.